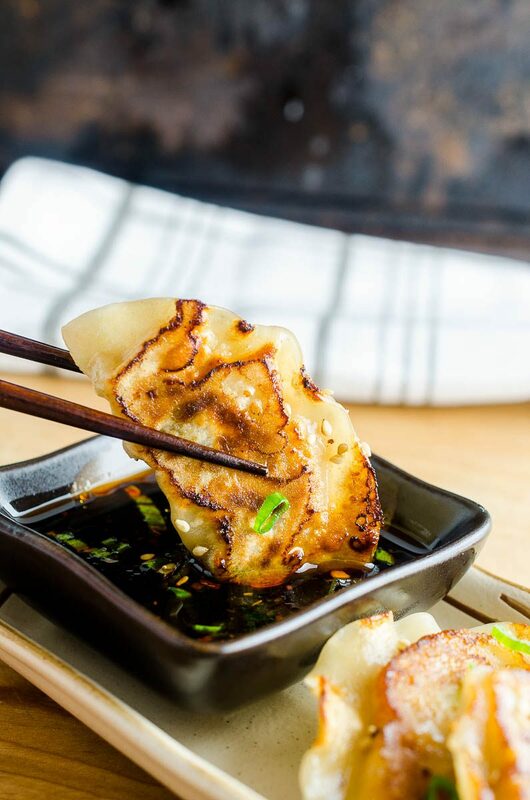 Chicken potstickers, whether they are pan fried potstickers or deep fried, are the most delicious Asian appetizer. 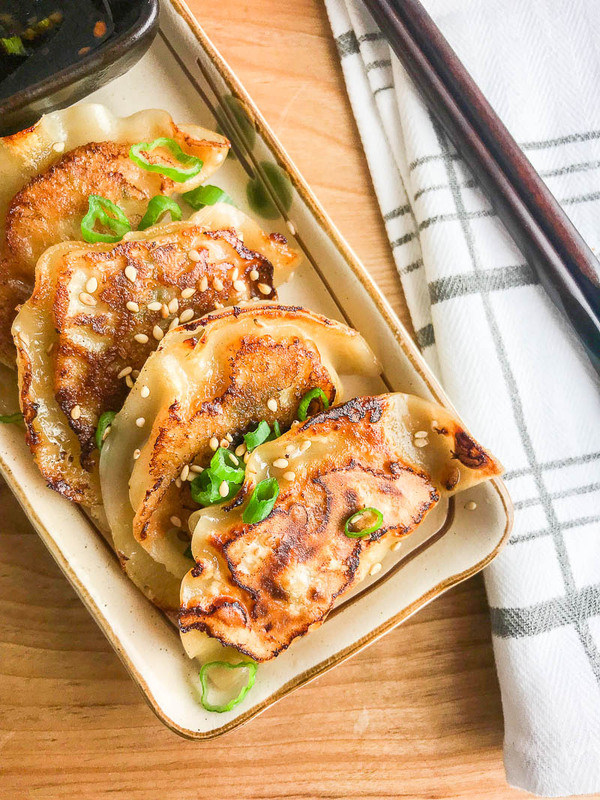 Trust me, this simple chicken potstickers recipe will become your favorite! I always have been, and probably always will be, a sucker for potstickers. The crispy golden fried bottoms. The tender flavorful filling. A platter of them just makes me so…so… happy. Whenever I go out to any kind of Asian restaurant, I must always get whatever potstickers are on the menu. They are my favorite. That and wontons. So I also must order whatever wontons are on the menu. I’m usually full before my dinner comes. But I can’t resist. I mean seriously. Savory, flavorful filling stuffed into a wrapper and fried or pan fried and steamed just until the bottom is crispy. Just tell me you don’t like Asian potstickers. And we will no longer be friends. BUT, I probably won’t believe you. 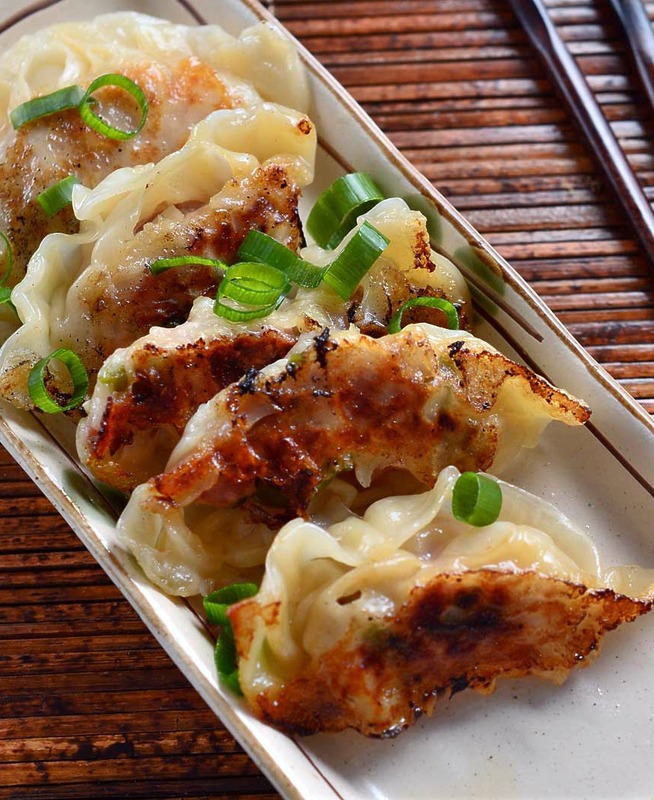 Because…potstickers. The filling possibilities are endless. You could fill them with pork, you could fill them with shrimp, or chicken or simply veggies. The trick is to make sure that they aren’t over stuffed. I usually use a heaping teaspoon of the filling. If you use much more than that, the wrappers break open. Speaking of wrappers. You may be wondering what kind of wrappers to use. Potsticker wrappers are small round flat pieces of dough made of flour. We are fortunate enough to have amazing Asian markets, like Uwajimaya, here in Seattle so gyoza (or potsticker) wrappers are really easy to find. If you don’t have an Asian market near you, I often find the wrappers in the produce section of my grocery store. When it comes to cooking potstickers, I have add them simply steamed. I have enjoyed them steamed and then pan fried and finally, straight up deep fried. Personally, the version that I like best are steamed and panfried. The top parts are tender and the bottom has a perfect crunch. It’s really the best way to eat them! You betcha! Whenever I make egg rolls or potstickers, I always make sure that I make extra so that I can store some in the freezer for whenever I get the craving. The best way to freeze pot stickers is to arrange them in a single layer on a parchment paper lined cookie sheet. Then put them in the freezer. This ensures that you freeze each potsticker individually and none get stuck together. Once the potstickers are frozen, put them in a freezer bag and grab them as you want them. Just make sure that you thaw them in the fridge before cooking. What is inside chicken potstickers? 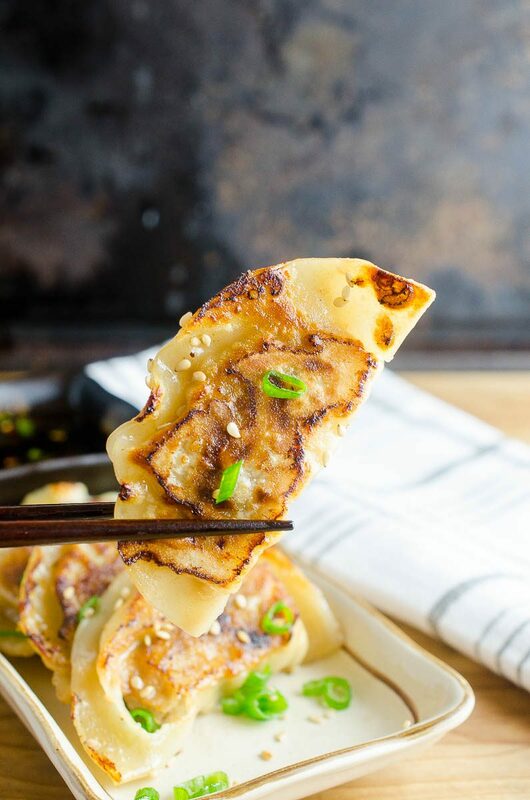 These chicken potstickers are stuffed with tender ground chicken, spicy jalapenos, garlic and nutty sesame oil. My mouth is watering just thinking about them. 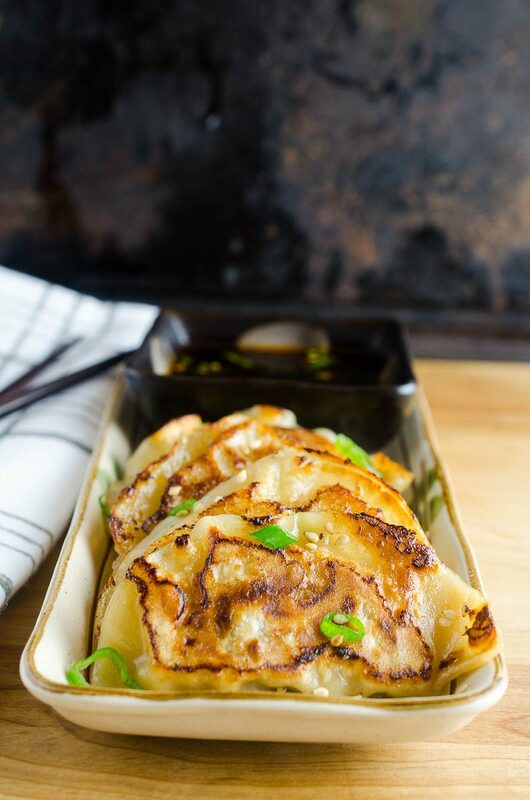 Potstickers are the perfect appetizer for an Asian meal. Serve them alongside honey walnut shrimp and a side of fried rice. Ah-mazing. In fact, I think I’ll go to the freezer (that’s right you can double…triple…quadrupleinfinity this recipe and freeze them so you have them whenever you want them!) right now and start thawing a bag for dinner. Or a mid morning snack. Yeah, I like that idea better. Note: Recipe updated with photos, video and new dipping sauce recipe 2019. Use your hands to combine first 8 ingredients together in a bowl. Mix well. Place 1 teaspoon of mixture into a gyoza wrapper. Dip your finger in water and run along the outside edge of the wrapper. Fold wrapper over the mixture and pinch closed. Repeat with remaining filling and wrappers. To cook, heat enough oil to lightly coat the bottom of a skillet over medium-high heat. 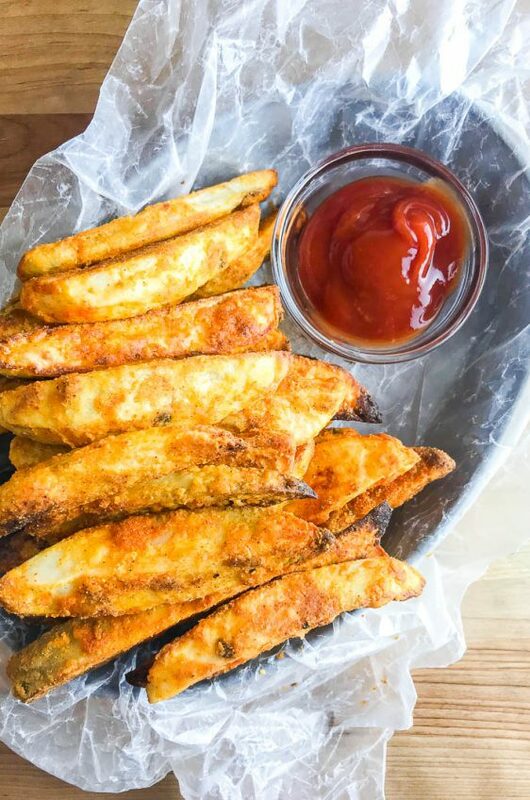 Place pot stickers in the skillet and fry 2 minutes or until bottoms are golden brown. Pour in 1/2 cup water, cover and cook 5-7 minutes or until water has evaporated. Serve hot. To freeze, place uncooked potstickers on a baking sheet in a single layer. Freeze until solid. Transfer to freezer bags. Thaw before cooking. 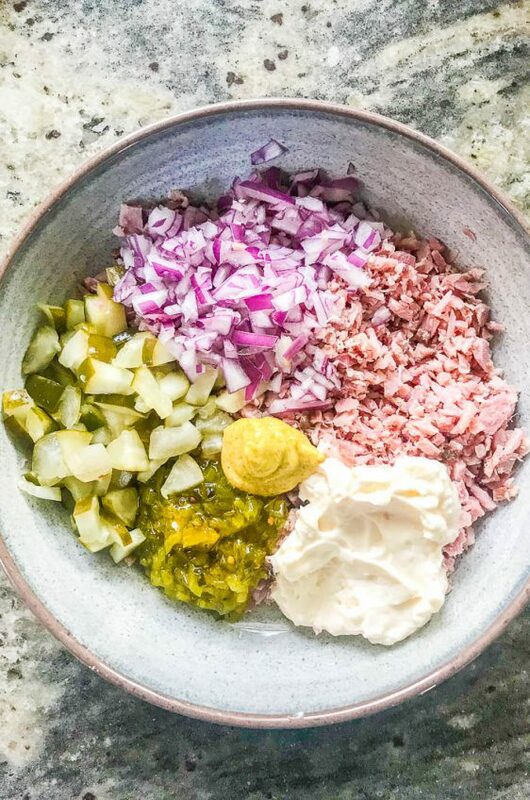 To make dipping sauce: whisk together all ingredients. This will be a sure hit at my house!! Clearly I NEED these in my life!!! I am sure these will be a new favorite in our house! I love how crispy they look! I am going to try these! I love the recipes on this site. Never been disappointed! These need to happen today, they look SO good!! Oh my goodness, these look incredibly delicious!! I can’t wait to try them! Those do look absolutely scrumptious! I’ve never tried making my own potstickers, but your pictures are making me want to! Yum! These chicken potstickers looks so good and I love all your photos of them! Making me drool. Thanks so much for sharing :). I’ve never tried pot stickers but they look absolutely delicious! 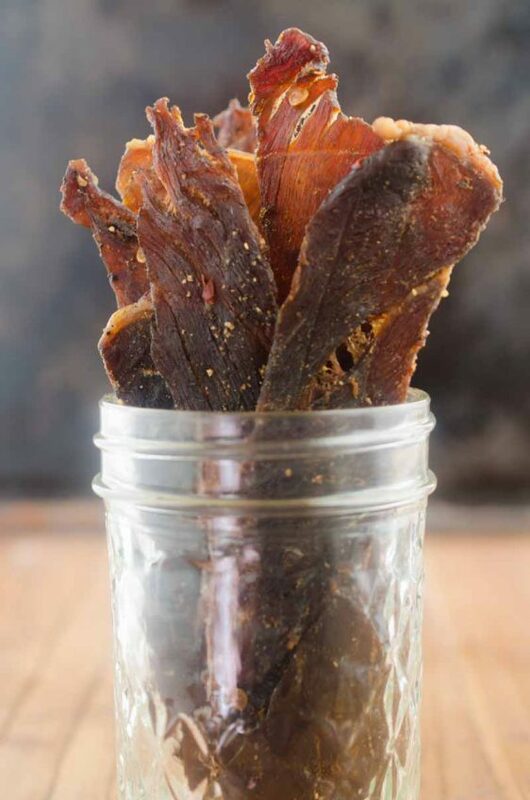 Plus, they are easy to make and will be so great for a weekend! These look really amazing! My kids will surely love these! We love potstickers! For me only the vegetarian ones, but my husband would love this chicken version too. Yum! This is always a winner in my house! I will try your recipe! Looks spectacular! Our whole family will surely love this, need to try this soon! YUM! 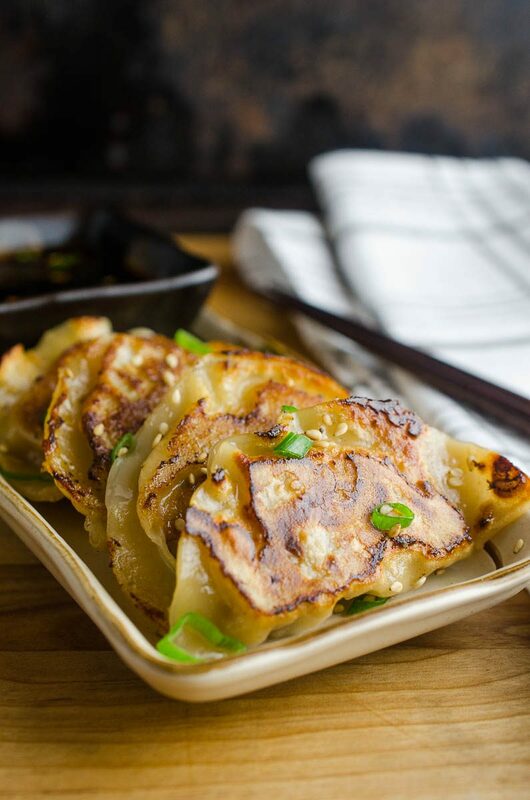 You can never go wrong with potstickers! Especially spicy sesame! Mmm…love that you steamed them first! These look terrific! Oh my gosh that filling sounds amazing and that color is gorgeous!! I love that you steam them and then pan fry them! You can never go wrong with a good potsticker. This is a new one of making it for me! I can’t wait to give it a try. These potstickers look amazing, and I love the chicken filling! 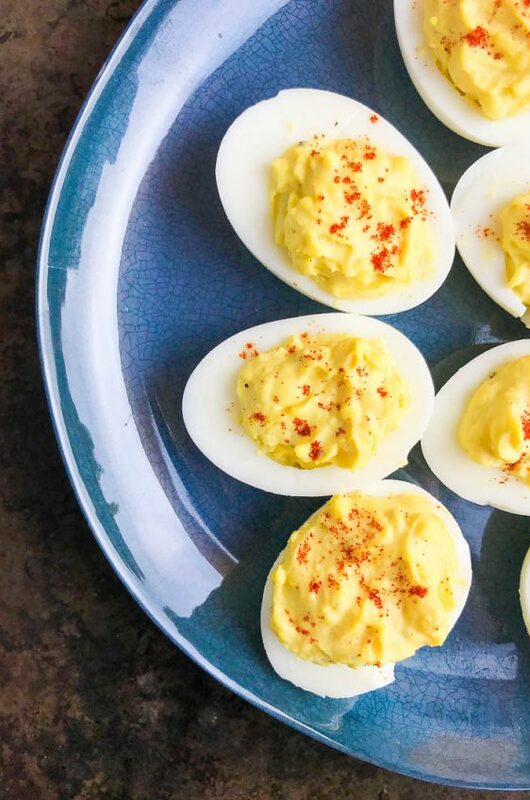 I always have them in restaurants, but never make them at home – maybe now’s the time! Hehe, I’m like you. I, too get full before my meal, especially if I get to eat something as delicious as your chicken potstickers as an appetizer!! This looks so yummy! These actually look incredible! I have never made these before yet you have made them look so sweet and simple! I am so looking forward to making these! These look incredibly delicious!! SO much better than take out!! YUM!! These look so tasty! Way better than any restaurant version; can’t wait to give these a try! I made these last night. I had to use pork because my store didn’t have ground chicken for some reason. They were still delicious though! I did however cook the meat before hand. I didn’t feel comfortable putting raw meat in there. I would put more soy sauce and salt and pepper in the mixture next time! But my boyfriend and I scarfed them down! Thank you for the recipe! These were tasty and easy — mine made about 40 potstickers though instead of 20. Do you cook the meat first and then add in the wrapper? The meat isn’t cooked when you add it to the wrappers but it cooks while you are cooking the potstickers. This recipe was really really good. I made a lot of extras to freeze. And just fyi i cook them straight from frozen just add a few more mins to the cooking time but they come just as good. Thanks for the recipe. At least one batch will be in my freezer st all times. I LOVE the sweet/spicy sauce that looks like soy sauce that they serve with them. Would love to have the recipe for that! I’ve used this one and it never fails. I love potstickers (we call it gyoza) and my kids always get excited when I make them and put them in bento box. Yours make me drool! I should make a spicy version next time. This looks delicious! I’m a sucker for a pot sticker or two also! these look amazing!! Yes, they have to have a crispy edge…which these obviously do! Now I can’t think of anything else! These sound delish.